*One or more of these photos is virtually staged* BRAND NEW, never occupied, ready for its first owners! 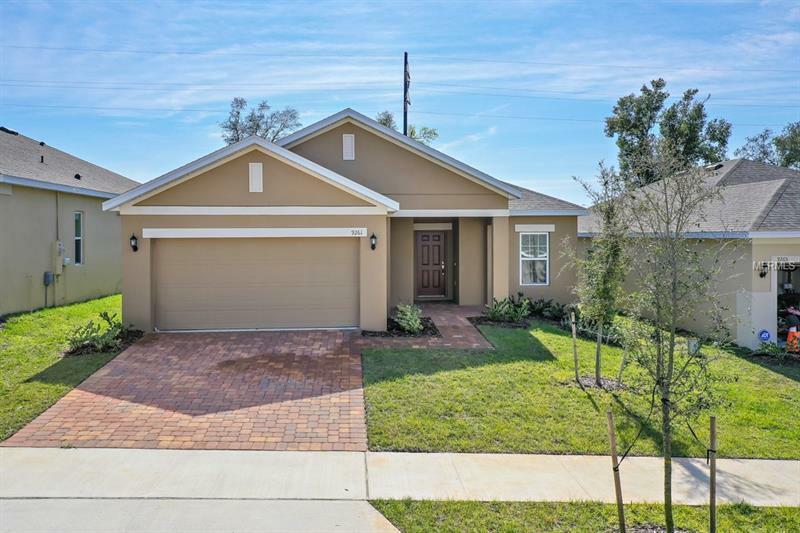 This spacious 4 bedroom, 2 bath, Greenwich model is located right off the bike path that can take you right into downtown Clermont, less than 3 miles away. With lots of upgrades from smart rainfall shower, to front elevation, this home is sure to impress! The kitchen is the heart of the home and features 42 inch cabinets, back splash, pendant lighting, and ample counter space with seating open to the living room and dining area. Thereâs plenty of room for entertaining friends and family inside and out as this home also features two covered porches on a premium lot that has an extended backyard feel and is walking distance from the community pool and playground. All this included at a low HOA fee! Don't miss this opportunity to make this your NEW HOME.